Please contact us at info@jetskisolutions.com to place your order. Top quality harness for your SJ or Blaster or Waveraider electric case. Installs in place of overheat sensor, which is most often already removed. Set up for typical rotary switch, but can be ordered for a SPST switch. The 2 way rotary switch type can be ordered as one or the other pump on, or ONE or BOTH pumps on. Please specify. 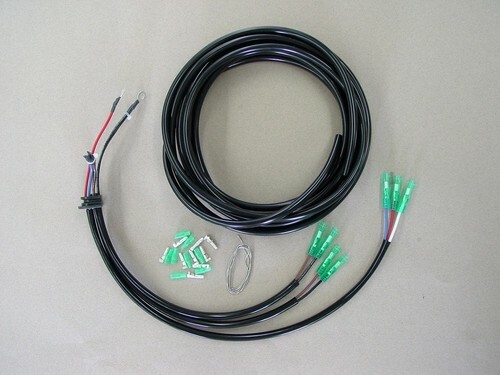 15 feet of OEM tubing and mating connectors included.